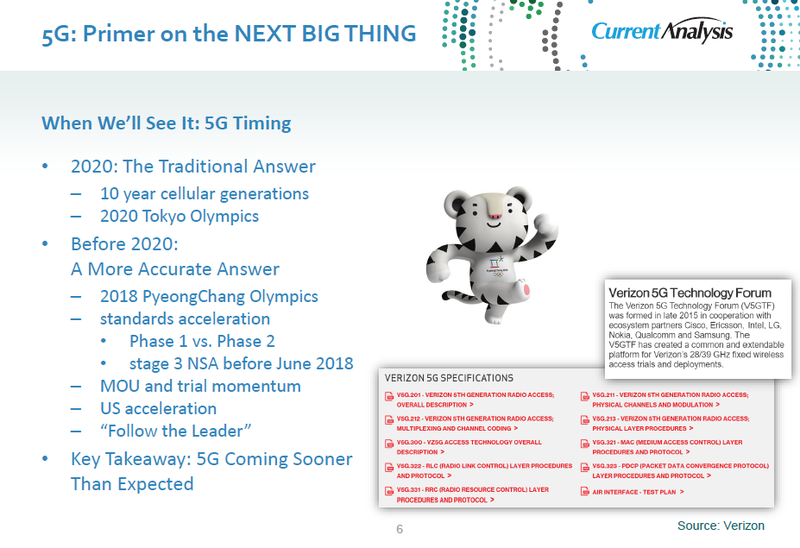 Some of you may be unaware that the US operator Verizon has formed 'Verizon 5G Technology Forum' (V5GTF) with the intention of developing the first set of standards that can also influence the direction of 3GPP standardization and also provide an early mover advantage to itself and its partners. Verizon has posted its second round of work with its partners on a 5G specification. The first round was around the 5G radio specification; this time the work has been on the mechanics of connecting to the network. The operator has been working on the specification with Cisco Systems Inc., Ericsson AB, Intel Corp., LG Electronics Inc., Nokia Corp., Qualcomm Inc. and Samsung Corp. via the 5G Technology Forum (V5GTF) it formed late in 2015. Sanyogita Shamsunder, director of strategy at Verizon, says that the specification is "75% to 80% there" at least for a "fixed wireless use case." Verizon is aiming for a "friendly, pre-commercial launch" of a fixed wireless pilot in 2017, Koeppe notes. The Snapdragon X50 delivers 5 Gbits/second downlinks and multiple gigabit uplinks for mobile and fixed-wireless networks. It uses a separate LTE connection as an anchor for control signals while the 28 GHz link delivers the higher data rates over distances of tens to hundreds of meters. The X50 uses eight 100 MHz channels, a 2x2 MIMO antenna array, adaptive beamforming techniques and 64 QAM to achieve a 90 dB link budget. It works in conjunction with Qualcomm’s SDR05x mmWave transceiver and PMX50 power management chip. So far, Qualcomm is not revealing more details of modem that will sample next year and be in production before June 2018. Verizon and Korea Telecom will use the chips in separate trials starting late next year, anticipating commercial services in 2018. The new chips mark a departure from prototypes not intended as products that Qualcomm Research announced in June. Korea Telecom plans a mobile 5G offering at the February 2018 Winter Olympics. Verizon plans to launch in 2018 a less ambitious fixed-wireless service in the U.S. based on a specification it released in July. KT and Verizon are among a quartet of carriers that formed a group in February to share results of early 5G trials. For its part, the 3GPP standards group is also stepping up the pace of the 5G standards efforts it officially started earlier this year. It endorsed last month a proposal to consider moving the date for finishing Phase I, an initial version of 5G anchored to LTE, from June 2018 to as early as December 2017, according to a recent Qualcomm blog. Coming back to Verizon's 5G standard, is it good enough and compatible with 3GPP standards? The answer right now seems to be NO. The issue is that Verizon’s specs include a subcarrier spacing value of 75 kHz, whereas the 3GPP has laid out guidelines that subcarrier spacing must increase by 30 kHz at a time, according to research from Signals Research Group. This means that different networks can work in synergy if required without interfering with each other. 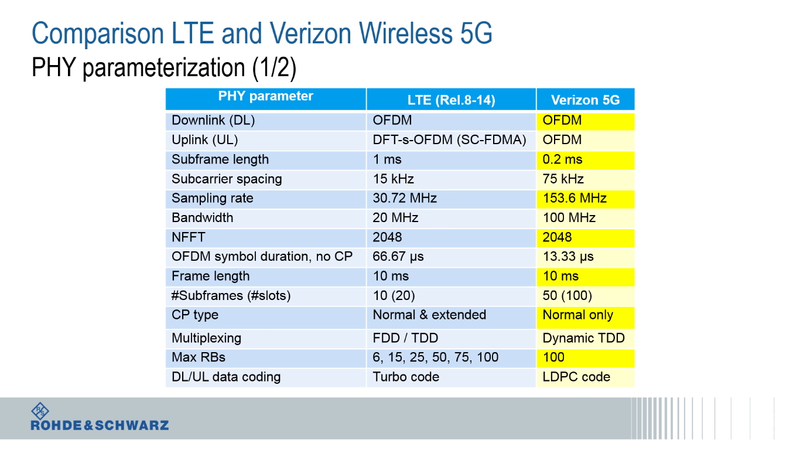 Verizon’s 5G specs do stick to 3GPP requirements in that it includes MIMO and millimeter wave (mmWave). MmWave is a technology that both AT&T and Verizon are leading the way in – which could succeed in establishing spectrum which is licensed fairly traditionally as the core of the US’s high frequency build outs. A Verizon-fronted group recently rejected a proposal from AT&T to push the 3GPP into finalizing an initial 5G standard for late 2017, thus returning to the original proposed time of June 2018. Verizon was supported by Samsung, ZTE, Deutsche Telecom, France Telecom, TIM and others, which were concerned the split would defocus SA and New Radio efforts and even delay those standards being finalized. Verizon has been openly criticized in the industry, mostly by AT&T (unsurprisingly), as its hastiness may lead to fragmentation – yet it still looks likely to beat AT&T to be the first operator to deploy 5G, if only for fixed access. Verizon probably wants the industry to believe that it was prepared for eventualities such as this – prior to the study from Signal Research Group, the operator said its pre-standard implementation will be close enough to the standard that it could easily achieve full compatibility with simple alterations. However, Signals Research Group’s president Michael Thelander has been working with the 3GPP since the 5G standard was birthed, and he begs to differ. Back in the 3G days, NTT Docomo was the leader in standards and it didn't have enough patience to wait for 3GPP standards to complete. As a result it released its first 3G network called FOMA (Freedom of Mobile Access) based on pre-standard version of specs. This resulted in handset manufacturers having to tweak their software to cope with this version and it suffered from economy of scale. Early version of 3G phones were also not able to roam on the Docomo network. In a way, Verizon is going down the same path. While there can be some good learning as a result of this pre-5G standard, it may be a good idea not to get too tied into it. A standard that is not compliant will not achieve the required economy of scale, either with handsets or with dongles and other hotspot devices. VoLTE is a very popular topic on this blog. A basic VoLTE document from Anritsu has over 40K views and my summary from last years LTE Voice summit has over 30K views. I assume this is not just due to the complexity of this feature. When I attended the LTE Voice summit last year, of the many solutions being proposed for roaming, 'Roaming Architecture for Voice over LTE with Local Breakout (RAVEL)' was being touted as the preferred solution, even though many vendors had reservations. Since then, GSMA has endorsed a new VoLTE roaming architecture, S8HR, as a candidate for VoLTE roaming. 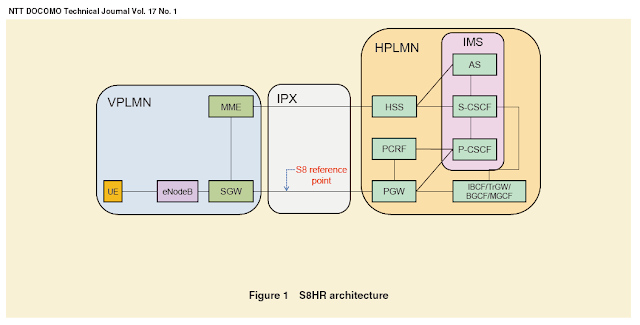 Unlike previous architectures, S8HR does not require the deployment of an IMS platform in VPLMN. This is advantageous because it shortens time-to-market and provides services universally without having to depend on the capability of VPLMN. Support of emergency calls - The issues in this context are several. For example, authenticated emergency calls rely on the existence if an IMS NNI between VPLMN and HPLMN (which S8HR does not provide); conversely, the unauthenticated emergency calls, although technically feasible in S8HR, are allowed only in some Countries subject to the local regulation of VPLMN. Also, for a non-UE-detectable IMS Emergency call, the P-CSCF in the HPLMN needs to be capable of deciding the subsequent action (e.g. translate the dialed number and progress the call or reject it with the indication to set up an emergency call instead), taking the VPLMN ID into account. A configuration of local emergency numbers per Mobile Country Code on P-CSCF may thus be needed. ­Support of Lawful Interception (LI) & data retention for inbound roamers in VPLMN - S8HR offers no solution to the case where interception is required in the VPLMN for inbound roamers. 3GPP is required to define a solution that fulfill such vital regulatory requirement, as done today in circuit switched networks. Of course VPLMN and HPLMN can agree in their bilateral roaming agreement to disable confidentiality protection to support inbound roamer LI but is this practice really viable from a regulatory point of view? 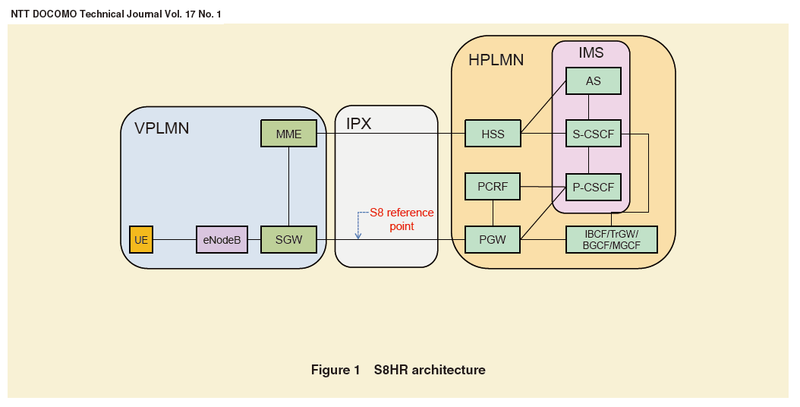 Voice call continuity – The issue is that when the inbound roamers lose the LTE coverage to enter into a 2G/3G CS area, the Single Radio Voice Call Continuity (SRVCC) should be performed involving the HPLMN in a totally different way than current specification (i.e. without any IMS NNI being deployed). Coexistence of LBO and S8HR roaming architectures will have to be studied since an operator may need to support both LBO and S8HR VoLTE roaming architecture options for roaming with different operators, on the basis of bilateral agreement and depending on the capability. Other issues relate to the capability of the home based S-CSCF and TAS (Telephony Application Server) to be made aware about the VPLMN identity for charging purposes and to enable the TAS to subsequently perform communication barring supplementary services. Also, where the roaming user calls a geo-local number (e.g. short code, or premium numbers), the IMS entities in HPLMN must do number resolution to correctly route the call. From preliminary discussions held at Working Group level in SA2 (architecture) and SA3 (security) in April, it was felt useful to create a new 3GPP Technical Report to perform comprehensive technical analysis on the subject. Thus it is expected that the discussions will continue in the next months until the end of 2015 and will overheat Release 13 agenda due to their commercial and “political” nature. Stay tuned to monitor the progress of the subject or contact the authors for further information! In the trials, DOCOMO and KT achieved the world's first high-definition voice and video call with full end-to-end quality of service. 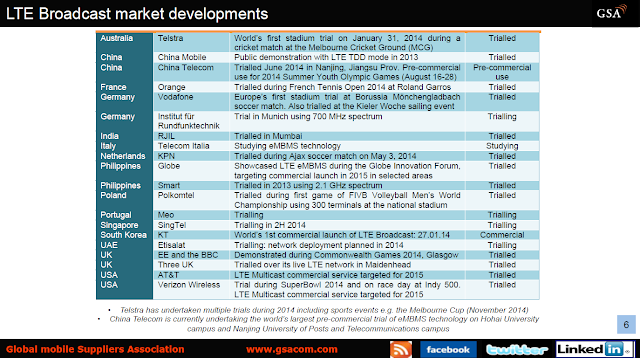 Also, DOCOMO and Verizon achieved the world's first transoceanic high-definition VoLTE roaming calls. DOCOMO has existing commercial 3G and 4G roaming relations with Verizon Wireless and KT. The calls were made on an IP eXchange (IPX) and network equipment to replicate commercial networks. With only two months of preparation, which also proved the technology's feasibility of speedy commercialization, the quality of VoLTE roaming calls using S8HR architecture over both short and long distances was proven to be better than that of existing 3G voice roaming services. 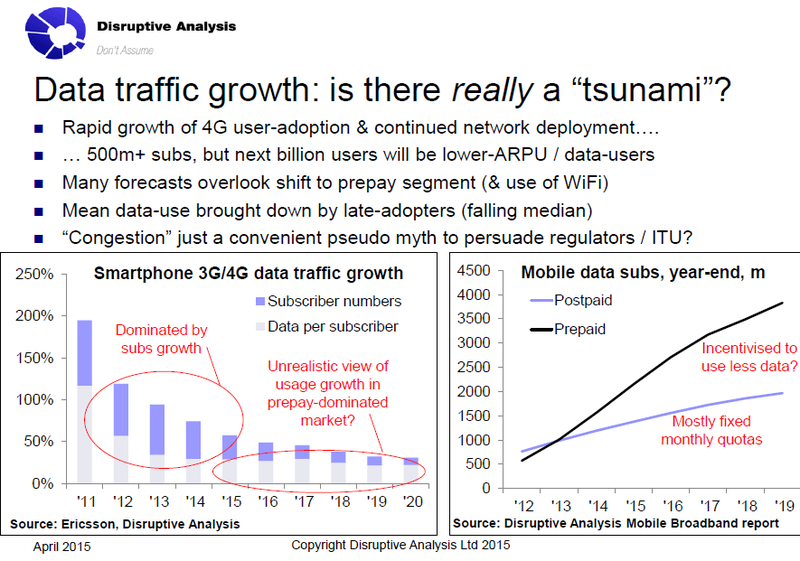 In fact, NTT Docomo has already said based on the survery from GSMA's Network 2020 programme that 80% of the network operators want this to be supported by the standards and 46% of the operators already have a plan to support this. (1) Bearers for IMS services are established on the S8 reference point, just as LTE data roaming. (2) All IMS nodes are located at Home Public Land Mobile Network (HPLMN), and all signaling and media traffic for the VoLTE roaming service go through HPLMN. (3) IMS transactions are performed directly between the terminal and P-CSCF at HPLMN. Accordingly, Visited Public Land Mobile Network (VPLMN) and interconnect networks (IPX/GRX) are not service-aware at the IMS level. The services can only be differentiated by APN or QoS levels. These three technical features make it possible to provide all IMS services by HPLMN only and to minimize functional addition to VPLMN. As a result, S8HR shortens the time-to-market for VoLTE roaming services. 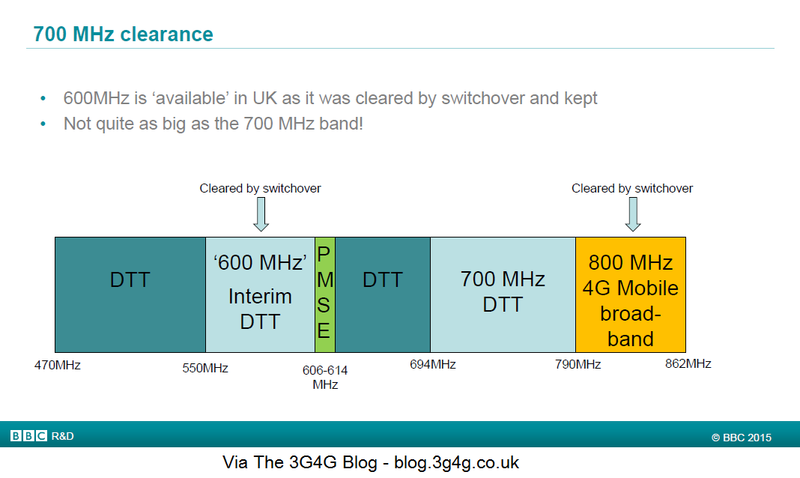 Figure 2 shows the attach procedure for S8HR VoLTE roaming. From Steps 1 to 3, there is no significant difference from the LTE data roaming attach procedure. In Step 4, HSS sends an update location answer message to MME. In order for the MME to select the PGW in HPLMN (Step 5), the MME must set the information element VPLMN Dynamic Address “Allowed,” which is included in the subscribed data, to “Not Allowed.” In Step 6, the bearer for SIP signaling is created between SGW and PGW with QCI=5. MME sends an attach accept message to the terminal with an IMS Voice over PS Session Support Indication information element, which indicates that VoLTE is supported. The information element is set on the basis of the MME’s internal configuration specifying whether there is a VoLTE roaming agreement to use S8HR. If no agreement exists between two PLMNs, the information element will not be set. Sometimes its good to take a step back and look at the new applications and services that are already happening or may be happening sometime soon. Some of these have a possibility to disrupt the existing industries and markets, giving rise to not only new players but a completely new order. Embedded below is a presentation from Dean Bubley of Disruptive Analysis. While there are a few things that I look at differently, there are many interesting points that the industry should already be looking at. 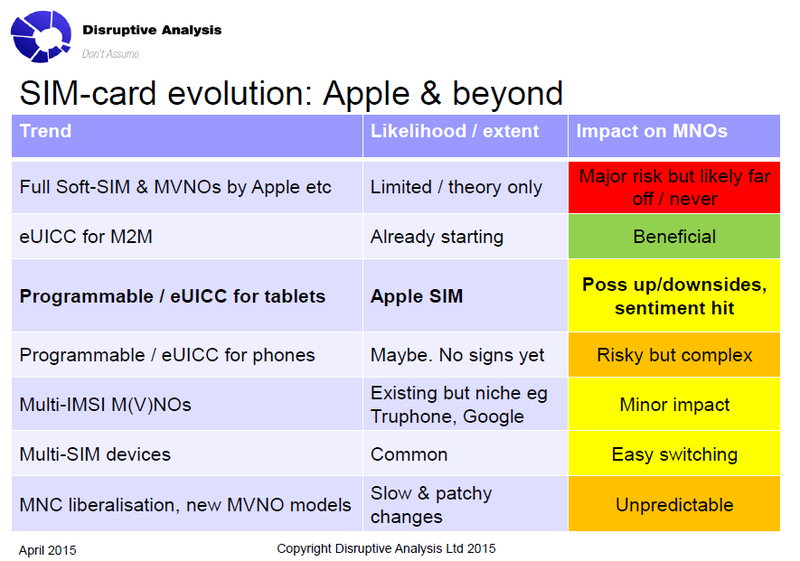 A good example of disruption would be the SIM card evolution that Apple introduced in iPadAir2 and iPadMini3. While they had great expectations, it didnt work out exactly as they had hoped due to the operators not letting Apple use the feature they wanted. In fact John Legere, T-Mobile US CEO, took to twitter to explain the problem. See here. Another example is the new MVNO model by Google (Fi) in the USA. The problem in USA compared to Europe is that the operators have monopoly in many areas (fixed and mobile) and they can also get away with charging far higher amounts. Anyway, here is the presentation. Let me know what you think. LTE’s inherent support for IPV6 addressing and IMSI-based telephone number identifiers makes mass deployments over LTE more easily achievable. The deployment of large numbers of mobile devices (think tens of thousands) becomes much more feasible because of LTE’s use of 15-digit IMSI telephone number identifiers for large-scale deployments, such as M2M or embedded wireless applications. 3G network technologies were limited by their use of 10-digit telephone number identifiers, which made large-scale deployments more difficult. With LTE, mass deployment of wireless services and applications, such as VoIP, smart metering, vending, and telematics, is now practical. Now we know about the much touted 50 Billion connections by 2025 of which the majority would be M2M devices. 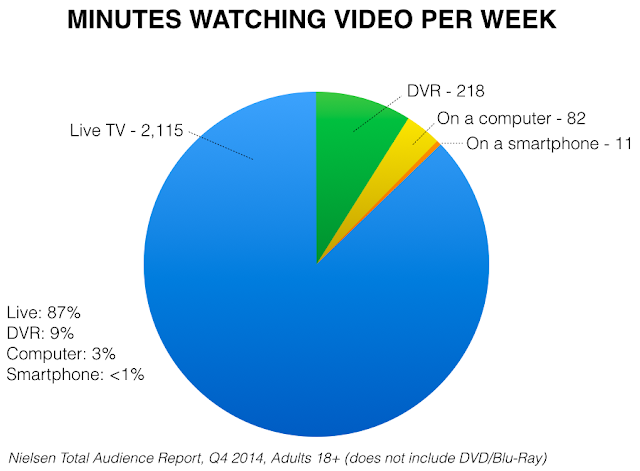 So how are we going to handle the issue of addressing these many devices. The amount of MTC Devices is expected to become 2 orders of magnitude higher than the amount of devices for human to human communication scenarios. This has to be taken into account for IMSI, IMEI and MSISDN. Regulatory bodies indicate shortages of IMSIs and MSISDNs. The MTC Feature PS Only in TS 22.368  includes a requirement that PS Only subscriptions shall be possible without an MSISDN. In principle an MSISDN is not used in any of the PS based signalling procedures. However, it will have to be assured that all PS procedures indeed work and subscriptions can be uniquely identified without providing an MSISDN. Furthermore, TS 22.368  specifies that remote MTC Device configuration shall be supported for PS only subscriptions without an MSDISDN assigned. Current remote MTC Device configuration solutions (i.e. Device Management and Over-the-Air configuration) are based on SMS, which assumes the use of MSISDNs. So a solution to support remote MTC Device configuration that does not require the use of MSISDNs is needed. - Internal Identifiers: used within the 3GPP system to identify a UE using a subscription (or the subscription itself e.g. when the UE is not registered). - External Identifiers: used from outside the 3GPP system (e.g. at the MTCsp interface), to refer to a UE using a subscription (or the subscription itself e.g. when the UE is not registered). - It shall be possible to uniquely identify the ME. NOTE 1: This requirement relates to the ME which is generally identified by the IMEI. - It shall be possible to uniquely identify the UE using a subscription or the subscription itself. NOTE 2: The two requirements above also apply to human-to-human communications. However, for Machine-Type Communication identifiers will have to be able to cater for a number of identifiers up to two orders of magnitude higher than for human-to-human communications. 3. Unique identifier (e.g. FQDN), other than E.164 MSISDN, for usage outside the 3GPP operator domain. - If no (unique or common) MSISDN is assigned to a PS only subscription, the Internal Identifier (IMSI) shall be used as charging identifier. - It shall be possible to associate one or more External Identifiers to the same Internal Identifier (e.g. several MSISDNs associated with the same IMSI). - Operator specific External Identifiers (e.g. based on a private numbering plan) may be supported for identifying UEs used for MTC that have to be reachable only from the operator domain to which they are subscribed. - The Internal Identifier shall be globally unique. - Remote MTC Device configuration shall still be supported for subscriptions without an MSISDN. NOTE 4: Current remote MTC Device configuration solutions (i.e. Device Management and Over-the-Air configuration) are based on SMS, which assumes the use of MSISDNs. Any more information on this subject, more than welcome.